Llansadwrn village is located 2 miles off the A40 between Llandovery and Llandeilo. 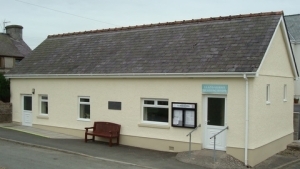 The Reading Room is situated right in the centre of the village adjacent to The Sexton Arms and opposite the beautiful church of St Sadwrn. Fundraising activities – whist drives, auctions bingo. 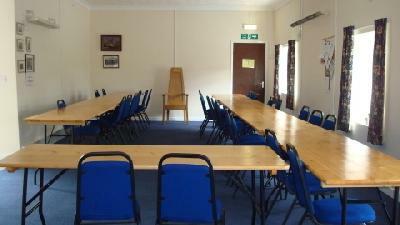 The Reading Room is independently owned by the village and is a Registered Charity No. 700666 with a Management Committee of volunteers. 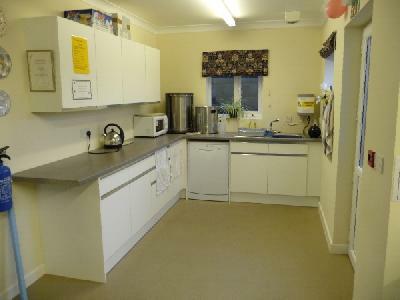 Kitchen: The kitchen is fully equipped with crockery, cutlery, glasses, dishwasher, plate warmer, fridge, microwave - all the necessities for that special occasion. From Llandeilo follow the A40 towards Llandovery. After about 10 km, continue across a roundabout towards Llandovery, then after a further 1km, take a left turn signposted Llansadwrn and follow the road 3km to the village.